Pane and Suffering is an enjoyable introduction to a great group of characters I hope to visit for a long time to come. 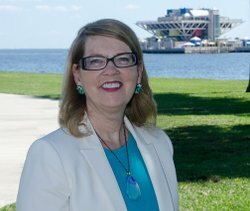 I learned a lot about the craft of stained glass, I enjoyed the virtual tour of St. Petersburg (FL), and I enjoyed a tautly constructed mystery with a heart-in-mouth denouement–an all-round winning combination! 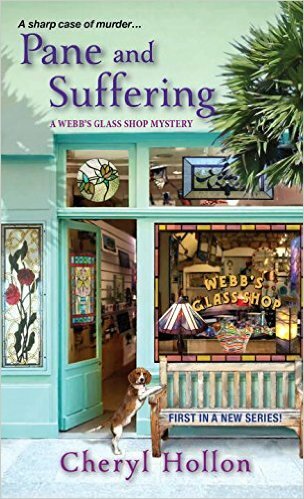 Pane and Suffering was an entertaining and well-crafted mystery that was absolutely delightful. 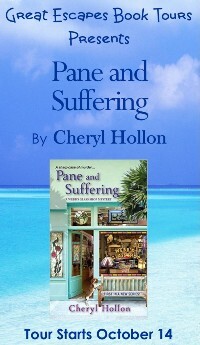 Pane and Suffering is an admirable debut cozy mystery. Filled with colorful characters, the craft of glass art and a good mystery, Ms. Hollon’s debut novel is both entertaining and a promising start for a cozy series. The plot moves along with unusual twists and turns in the form of geocaches and ciphers to be solved. A change of pace, this was an enjoyable read, and I learned a lot about glass and geocaching. …many quirky characters that kept it really interesting. I adored the puzzle/code aspect of Pane and Suffering…Ms. Hollon provided us with a wealth of suspects and enough clues to hold our interest without giving too much away too soon. …enjoyed the code and cypher work. Personally, I’m not very code at cracking codes, but I always find they add an extra level to the mystery. The main characters are all fun and engaging. Great debut for this new series, is a cozy mystery full of twists, well written with engaging characters and a strong plot.